There’s a scene in SONG OF THE DEAD set in the Map Room in the Foreign & Commonwealth Office. There’s no particular reason for the scene to be in this room. It’s a regulation police interview, which could easily have been carried out in a square room with a large mirror, through which our hero would study the suspect’s mannerisms before going into interview him. The Map Room is there to add colour. I wrote it before I’d actually visited the Map Room, although I did some research. So at least I didn’t make the mistake of describing the Map Room as actually having maps on display, God forbid. 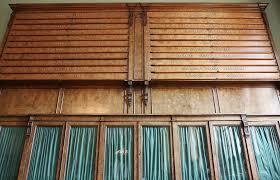 Despite the name, it’s a very understated room – compared to others in the building - with not a map in sight. The maps, magnificent beasts from the days of Empire, are rolled up and hidden away in the walls. Maps. In the FCO Map Room. Too delicate to be seen. You’re not allowed to take them out. It’s the FCO equivalent of the legendary Dr Strangelove line, ‘You can’t fight here, this is the war room!’ No looking at maps in the Map Room. Presumably if Jeremy Hunt wanted to nip in there and whip ‘em out, he could do so with impunity. And would anyone be surprised if we ever learned that Boris Johnson used to sneak in at midnight to droolingly self-flagellate, while lying naked on 19th century maps of British-controlled India? So I did my research, and wrote my scene set in the Map Room. This included the interesting factoid, the type of thing writers like to throw into a narrative, that the room was the site of the only ever meeting between Admiral Lord Nelson and the Duke of Wellington. At the time it wasn’t known as the Map Room. They were there separately to meet the Secretary of State, and were dumped in the room to wait, unaware at first of whom the other actually was. When my first-person narrator describes the room he throws in this fascinating historical note. Except, the first time I wrote it, I didn’t put Wellington and Nelson. I put Wellington and Napoleon. Now here’s the thing with this kind of error. If you don’t spot it the first time, chances are you might not spot it at all. The more you read the mistake, the more it becomes the truth. I read once that Wellington had met Nelson, but when I didn’t immediately spot the error having written Napoleon, I had soon read that mistake several times. It’s like watching Fox News. If you don’t dismiss some piece of garbage the first time you hear it, by the time you’ve listened to the same thing every night for six months, you’ve been bought and sold and you’re calling up your mates. A second, and then Jessie gasps down the phone. No one said. I wrote the book, I sent it to my editor. He didn’t notice. The book went to the copy editor. He didn’t notice. The book went to two proofreaders. Not really their job to notice, but they could’ve done, and they didn’t. And so the book went to print, with this egregious error. That was three years ago, published by Freight Books. It may have been seen as a disaster for Scottish publishing when Freight went to the wall in 2017, but I was relieved. By then I had realised my heinous historical mistake. The publishers collapsed, remaining copies of the book were pulped, and I was able to get the code to initiate self-destruct protocols built into the few hundred copies out there in the wild. 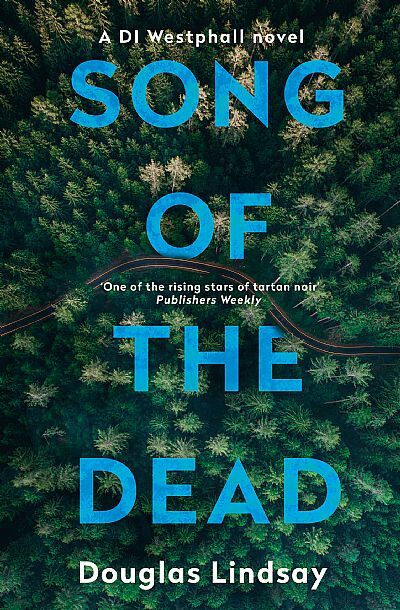 And now Song of The Dead is back, reborn, published today by Mulholland. And Nelson has been granted his rightful place in history.